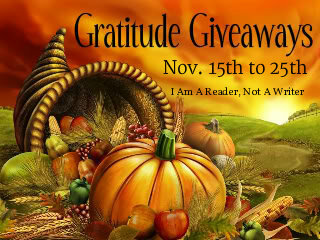 As part of the gratitude giveaway, I decided to make this post short and sweet. There isn't much for you to do get a chance to win. This is a game I saw on Facebook and thought it might be fun to try. Simply leave a comment about the back story of this character. You can write anything like his name, hobbies, his home life, is he a clone, elf, does he see ghosts? 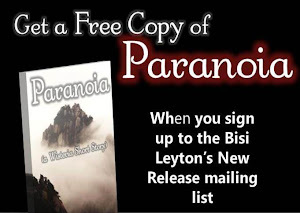 I'm a paranormal writer, so the less crazier the better. I'll pick three winning comments and the winners will each get a free copy of Myopia. Entries close at 26th November at 12pm GMT. He's a secret romance writer, who's on the wrestling team at school, and faints at the sight of blood. His name is Randy and he is being hazed by his fraternity who are making him sing at the local fair. His name is Tod, and he really doesn't want to be where he's at right now. He'd much rather be playing football or baseball than singing in a concert. You know that kind of fits. He's undercover and at an outdoor event as a member of a touring band. Saw a girl that he recently met when he first arrived into town that always unravels his soul and isn't happy to see her in the crowd. He is surrounded by pink pixies and if he looks at them, they will turn his skin pink so he has to keep his eyes tighly closed to protect himself. When he sings, they all fly away and leave him alone. Thanks for this amazing giveaway - I would love to win! This is one's really funny. I love it! Jeff has had a dream of being the next member of ZZ Top. Just as he is getting his big break and audition, the faces in the windows behind him begin to speak. Feeling so distracted and already insecure because he is not yet able to grow his full beard, he shuts his eyes to concentrate on the music. The voices scream and he opens his eyes and cannot believe what he sees - they are coming . . . Thanks for your comment. I love the ZZ top angle. His name is Ronny He has big dreams of being a rock star. The picture was taken before the accident that would change his life forever. He would never be the same again. His name is Eddie and he is sick. 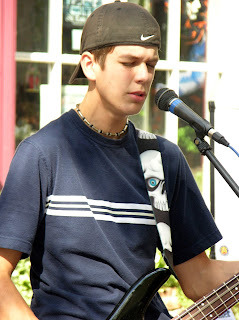 He want to continue his dreams of becoming a rock star, but his headaches keep getting worse. will he finally break down and see a doctor or will he just break down? omg! i FORGOT THE WORDS!! Winston is a stutterer & can only speak clearly with his eyes closed & a guitar in his hands. He's not on stage to sing, he's trying to get an A in speech class. His name is Chance, who is a junior in high school, who is trying to impress the girl in his class, but only he sees. He was in a car accident, and he has lost his memory. He discovered his talent for singing and playing guitar when he decided, on a whim, to participate in a talent contest as he was drowning his sorrows in a beer one night. He is now touring with a band in the hopes that someone will recognize him so that he can figure out who he is! You know, that actually would be a good angle for a story. I've used mempory loss a couple of times, but not in this way. His name is Marco and he is raising money for a heart transplant for his monkey. He hates his mom!! He loves to sing, always doing it as he cuts the grass and washes his aaa...well, you know. But mom thinks he is just the hottest new act, so when the band performing at the local fair opens the stage she pushes him forward.